Reference Services provides reference and research services to the General Assembly and its staff, as well as legislative information to the public. Patrons can contact the reference librarians by phone, email, or just by walking into the library and asking for assistance. The reference librarians can assist in locating specific reports, statistics, laws, or other legislative documentation in the Library and also provide outside sources and referrals to patrons for further information. 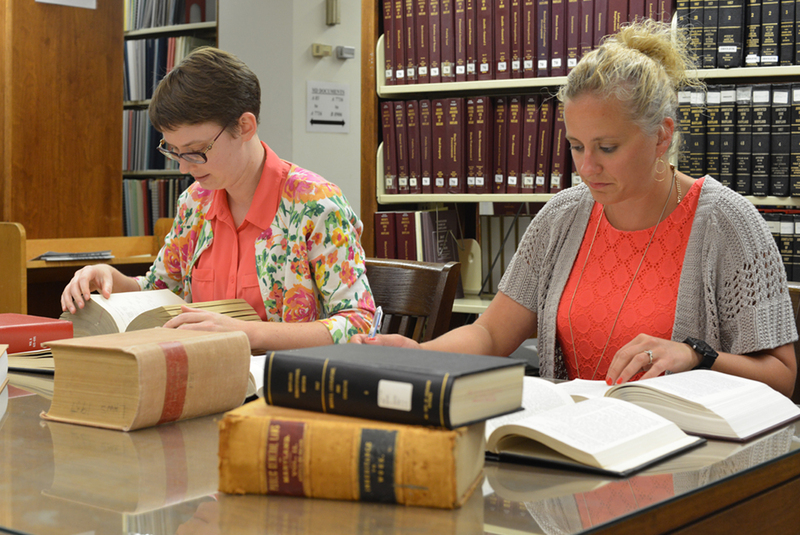 The DLS reference librarians assist patrons in navigating an extensive collection that includes materials related to bills introduced in previous legislative sessions, committee files and votes, floor votes, indexes, and other valuable documents. The reference librarians also assist in gathering background information on a topic that is being considered by the legislature, a copy of the law in another state that might be a model for Maryland legislation, federal law that is related to a Maryland issue, or a comparison of proposed legislation to legislation in other states. recommending the best search strategies to locate information on the website in an efficient and timely manner, along with any other questions users may have about the Maryland General Assembly website.